Люди и бренды: человек-душ - Жан Мартен Шарко. In accordance to Ukrainian law, Non-residents must apply through Patent attorneys. For your service Igor Kondratiuk - Patent attorney with 15 years of professional experience. We guarantee you the highest quality of work. • You can e-mail us on info@tm.ua. Write a free content letter. For example: «Trademark Registration to the legal entity (or - individual). Please send a set of documents and a description of the procedure». Or:"I need trademark registration and domain UA. Registration to the legal (or - individual) person. "Please also indicate contact person and methods of communication with him in the letter. If you have particularly difficult problem, then specify in the subject line: "to Patent attorney Kondratiuk Igor."  You can use a special form for sending the order here. 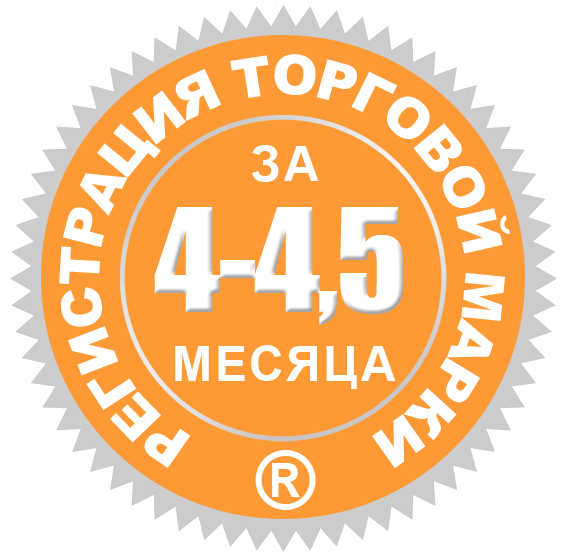 There are 3 terms of trademark registration in Ukraine: standard, fast and urgent.  Standard registration. This registration has one drawback - it lasts a little more than 1 year. But your right to have a sign appears from the date of submitting application for registration. Such TM registration has minimal cost.  Fast registration. In this case, six months after the submissions of the Application accelerated examination will be ordered. So this registration lasts 8-8.5 months. Advantage: protection document always better than Application.  Urgent registration. For 4-4.5 months TM will be your. By the way the UA domain too. Express registration is needed for those who prefer to get right as quickly as possible. Checking consists of a legal analysis whether your sign does not violate public order, principles of humanity and morality. As well we review mark on the identity and similarity with already registered Trademarks. It is held, either before filing the application for registration, or immediately after application. Sometimes it is better to apply before search. Then your right on TM appears from the date of filing. And only then (!) after a week or two search will be made. Then your application will be in the search results. But this method is good when you are not in a hurry. In all other cases search must be made in the beginning, before applying. If you own a patent obtained under the PCT (Patent Cooperation Treaty) our Agency will help you to pass the national phase of this procedure on the territory of Ukraine quickly and easily. We must note that the deadline for entering the Ukrainian national phase - 31 months from the priority date. Of course, you can restore the prescribed period in Ukraine for 12 months from the missed deadline, but you need to pay additional fees for such a restoring. 1. Send an e-mail on info@tm.ua or call: +380 99 433-01-33, +380 98 773-33-53, +380 63 942-55-33, +380 44 486-6468, +380 44 486-3813, +380 44 486-4381. 2. Please email us on info@tm.ua and let us know about patent information, which is necessary to apply for registration in Ukraine. 3. Pay for the services of our agency and fees for filing. Ukrpatent conducts Formal Examination (within 6-8 months of the filing and paperschork date). Publication in the Official Patent and Trademark Gazette (within 18 months from the priority date). Substantive Examination in Ukrpatent (within 1,5-2 years from the filing date). Publication in the Official Patent Gazette. 10 years of experience on the UA-domains market! For 10 years we have registered hundreds of UA domains for hundreds Trademarks. odnoklassniki.ua, internet.ua, tourism.ua and many other well-known names  this is our work. We can get you almost any domain. All our customers get what they want. For example, we got domain I.UA for TM «I» and domain O.UA for TM «Î» too. Domain N.UA - again our work. It is important to understand that to register Trademark and get UA domain for it always cheaper than to buy it. Get what you need NOW, than you would not have to pay more later. The patent for the utility model can be obtained in a short time. But the action he had just 10 years..
Industrial design protects the shape of your product. his patent protects the color of your goods. Industrial design protects the composition of shape and color of goods. Our address is: Str. Dovnar-Zapolski, 4, off. 2.